It was just an issue of time just before tossed salad would control the morning meal, as it has ruled supreme over lunch as well as dinner for a long time now. 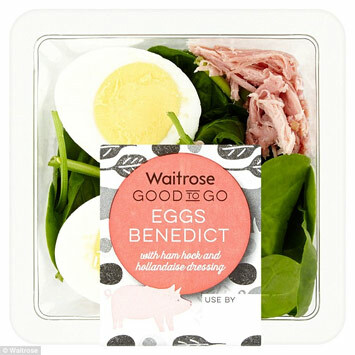 It’s making its way into breakfast menus everywhere, including the shelves of Waitrose in the UK who has launched a range of breakfast salads. 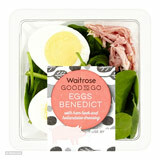 Waitrose has tipped breakfast salads as one of the top food trends of 2017 as it unveils a new range with ingredients including eggs, grains, spinach, raw veg and beans. It said the new breakfast range, which includes vegan options, was inspired by the trend for nutritious foods that are also “picture perfect for Instagram”, and is based on the popularity of breakfast salads in the US. It also taps into the trend for office workers to eat breakfast ‘al desko’, as part of the growth in food-to-go meal options. One example of the new range includes the breakfast salad pot, which includes layers of spinach, red rice, quinoa, egg and hollandaise. The premium retailer is also introducing what it’s calling the ‘new quinoa’, the gluten-free grain sorghum. Along with sorghum, a new low fat salad contains raw shredded butternut squash and beetroot, mixed with a vegan raw carrot and miso dressing. Elsewhere in its prepared range, Waitrose has revamped stir fry ready meals with new ingredients such as runner beans and Tenderstem broccoli sliced into noodle shapes. Waitrose product developer Simona Cohen-Vida said: “What healthy eaters consume in the US, British shoppers will usually follow (think green smoothies and coconut water). Cohen-Vida said healthy eating is better achieved by adding in new ingredients, rather than cutting out food groups. “By adding this variety, mealtimes remain interesting and help you get natural goodness from your food, with the vegetables making it easier to reach your five a day. All of our new range is either ready-made or ready to cook so they’ll save time in the kitchen too,” she added.